Although not available in stores until April 2011, there seems to be quite a bit of pre-released Sherbet Pips out in the blogging community. 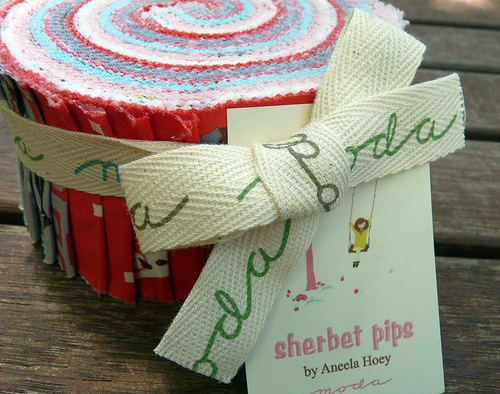 Sherbet Pips is designed by Aneela Hoey for Moda. The character prints are ADORABLE and they are teemed with a number of small scale basic prints which I think really completes this collection. Being a little slow to catch on to this collection, I had to scour the internet for a Jelly Roll and Layer Cake of the Sherbet Pips collection. I had great success locally at Retromummy and Ballarat Patchwork. Roll on April I say! I *love* this collection! I can't wait to see what you make with it! This is going to be a winner! I have a little and haven't decided what to do with it. Now I'll wait and see what you do first Rita! 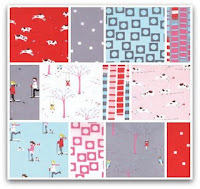 Have seen some of this line on blogs but didn't the name of the line... very cute and great colors! Can't wait to see what you come up with! I have a little too but haven't cut into it yet. I adore this line! 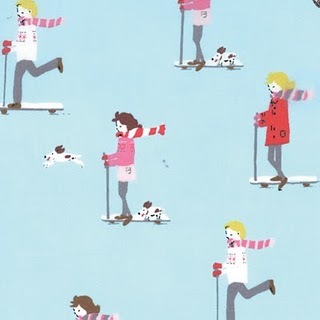 I have a little Pip project in the works for Moda Bake Shop. Can't wait to share. That is a nice collection. I agree - the small scale prints really "seal the deal" for me. I need to put on my thinking cap about what I should do with this line once I get my hands on some in April. Will love to see your quilt, of course! I have a charm pack already living here, and a couple other precuts on preorder. SO cute. Aneela did a blog post on her design process. So very interesting! I've started something very simple with a layer cake from this line for a friend. Like you I say roll on April when I can buy yardage. I'm so pleased you got yourself some of my pips. Aren't they beautiful? I am so jealous of your stash! 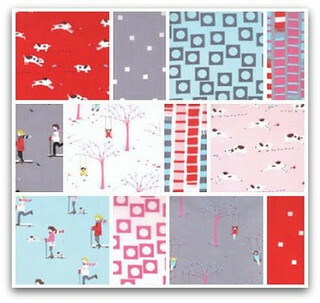 Look forward to seeing what you make - another amazing quilt is planned I feel!! I love the colours in this collection! It is SO fun.